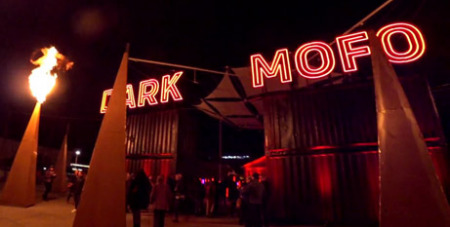 The installation of large inverted red crosses around Hobart's waterfront as part of the city’s Dark Mofo Festival has shocked many Christians, especially those who’ve fled persecution, a Coptic Orthodox bishop has said. Source: ABC. “For more than a millennium, inverted crosses have been used by Satanic worship groups as an anti-Christian symbol in mockery of Jesus Christ,” Bishop Suriel, the Coptic Orthodox Bishop of Melbourne, wrote in an essay appearing on the ABC Religion and Ethics website. “From the early centuries of Christianity, Christians were not able to display the cross publicly as it could have led to persecution. Other symbols where more commonly used such as peacocks, doves and particularly fish - which, in Greek, forms an acronym for ‘Jesus Christ, Son of God, Saviour’. “The display of such anti-Christian sentiment around Hobart is deeply offensive to me as a Christian, a Coptic Orthodox Christian bishop who has witnessed the living reality of persecution, and many other Christians who have lost loved ones or suffered themselves for their faith. “Even today, in many parts of the world, people risk their lives by secretly carrying or displaying crosses. The Australian Christian Lobby also spoke out against the display of inverted crosses and a petition calling on Hobart’s Lord Mayor to remove them has garnered about 1500 signatures. Meanwhile, Dark Mofo Creative Director Leigh Carmichael has defended the use of the crosses. “The cross is a powerful and deeply significant historical symbol, that has been used for thousands of years, with many cross-cultural meanings,” he told MusicFeeds Magazine. “For many, this symbol evokes an emotional response for reasons that we don’t fully understand.